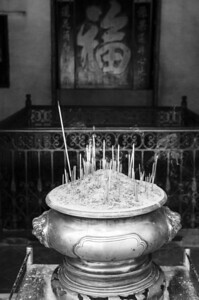 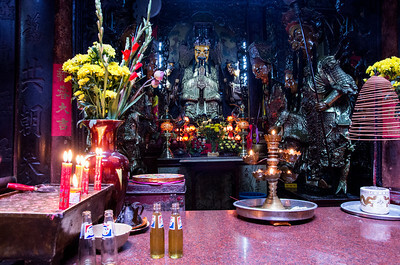 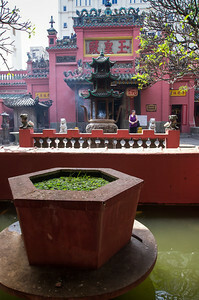 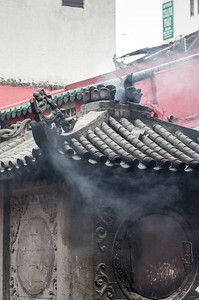 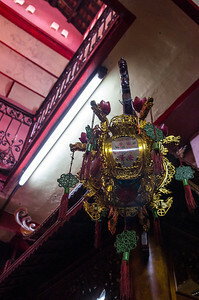 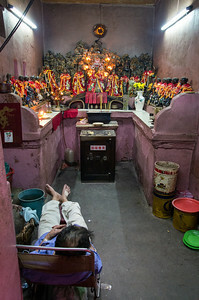 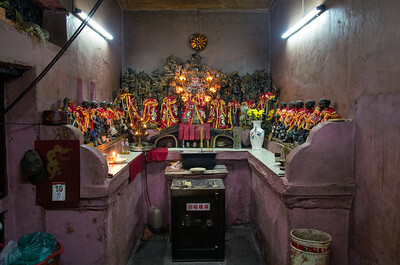 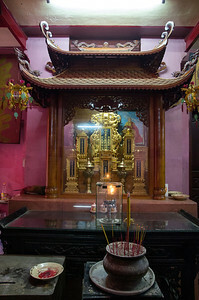 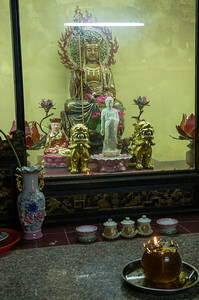 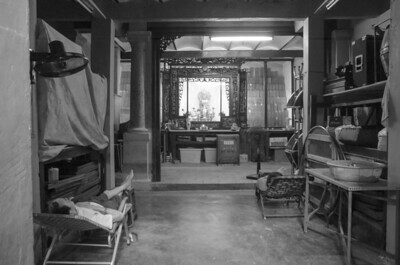 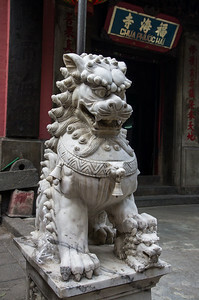 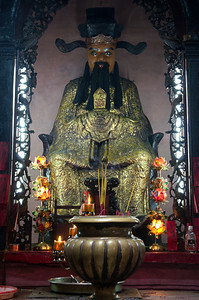 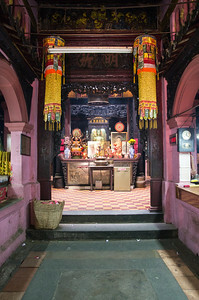 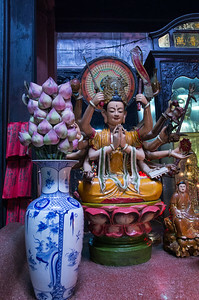 The Jade Emperor Pagoda (in Vietnamese, Chùa Ngọc Hoàng, official name Ngọc Hoàng Điện 玉皇殿, "Jade Emperor Temple") is a Taoist Pagoda located at District 3, Ho Chi Minh City. 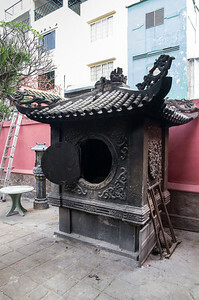 The Jade Emperor Pagoda, built in 1909 by the Chinese Congregation. 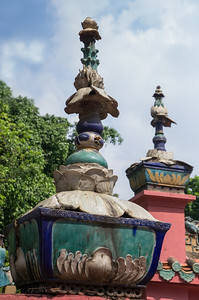 It is one of the most spectacularly colourful pagodas in Ho Chi Minh City, filled with statues of phantasmal divinities and grotesque heroes. 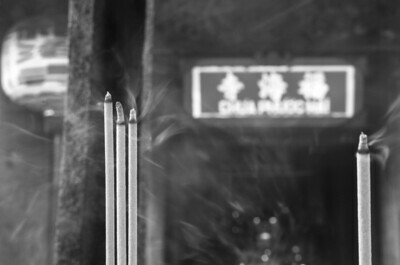 The pungent smoke of burning joss sticks fills the air, obscuring the exquisite woodcarvings decorated with gilded Chinese characters. 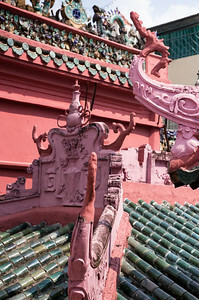 The roof is covered with elaborate tile work. 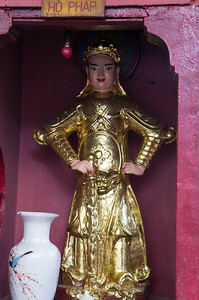 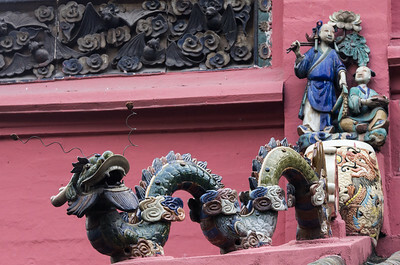 The statues, which represent characters from both the Buddhist and Taoist traditions, are made of reinforced papier-mache. 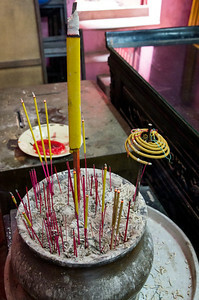 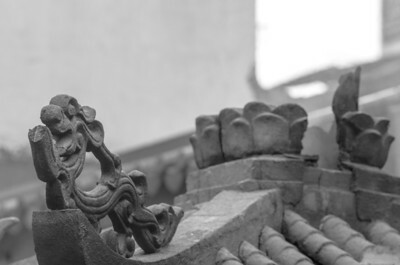 The pagoda is dedicated to the Emperor of Jade, the supreme Taoist god.